The Argentine capital is a fantastic place to visit on a cruise, with the so-called 'Paris of South America' offering a truly unique culture, that blends European and South American influences in an interesting and exciting way. This is largely due to the history of Buenos Aires, which saw a huge influx of European immigrants during the 19th and 20th centuries. It is this blend of people that give the city its own distinctive flavour, which is truly a joy to discover. 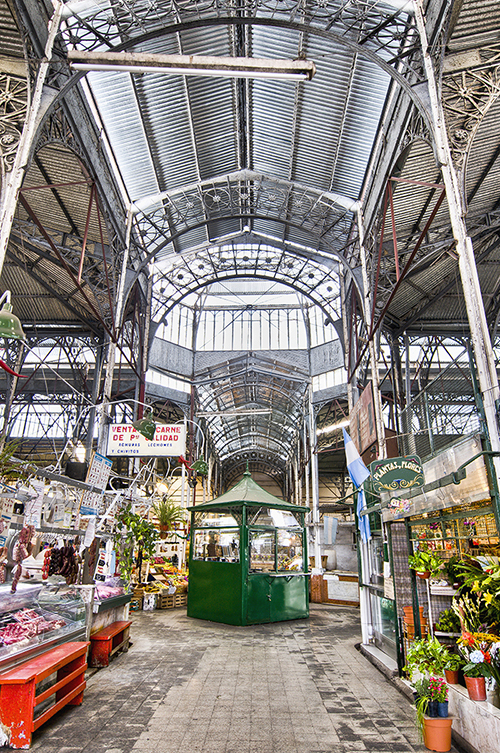 If you're looking for a way to get to grips with local culture, then a visit to a street market is the perfect way to spend a day in Buenos Aires. By doing this, you'll have the chance to uncover some typically Argentine handicrafts and other artisan products, and at the same time observe the Porteños (the name given to the city's residents) as they go about their daily business. It really is the best way to see the local lifestyle in action, while picking up some fantastic souvenirs that not only encapsulate the spirit of this intoxicating city, but will also remind you of your trip for years to come. Here's a look at some of the best street markets in Buenos Aires, and what can be learnt about the Argentine lifestyle by visiting them. Not only is San Telmo the oldest barrio (neighbourhood) in Buenos Aires, it's also one of the city's most enchanting. Having initially been considered a working class area, it is now known for being the epicentre of bohemian Porteño life. The weekly Feria de San Telmo takes place on Sundays, with Calle Defensa being lined with vendors selling all manner of artisan goods, antiques, and more. Many of the city's most intriguing artists come to sell their wares at the market. In fact, over the past decade or so, San Telmo has gained a reputation as the capital's hub of modern art, with a number of critically-acclaimed galleries having opened in the area during this period. As such, it's a fantastic place to come if you want to see a striking contrast between the old and new in Buenos Aires. What's more, once the market ends (usually around 5pm), and the stalls are packed away, the streets become awash with tango-dancing couples – an absolute must-see for all visitors to Buenos Aires. Recoleta and San Telmo have traditionally been seen as polar opposites of one another, with the former being the city's most upmarket neighbourhood, and the latter being famous for its nonconformist residents. Therefore, if you want to come away with a well-rounded idea of Buenos Aires and its culture, you really need to visit the local market of Recoleta as well as that of San Telmo. The Feria Artesanal is held on Sundays in Plaza Francia, and showcases high-class artisan goods. Jewellery, fine art, and ultra-cool fashion is just some of what's on offer here, so if you're interested in seeing the most refined aspects of Porteño life, this is the place to be. Aside from its market, Recoleta is most famous for its cemetery. Here you'll find the grave of Eva Peron – one of the most iconic figures in Argentina's history. The neighbourhood is also home to some of the city's finest restaurants, cafes, and bars. If you want to live it up while visiting Buenos Aires, you'll have plenty of opportunities to do so in Recoleta. 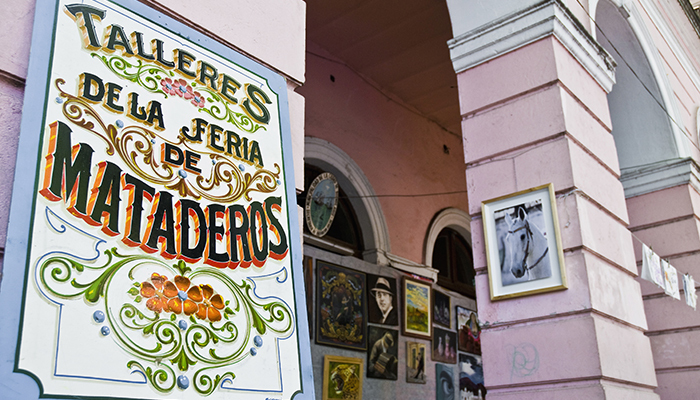 Also on Sundays, the Feria de Mataderos is perhaps the most traditional of all markets in Buenos Aires, and is held in the Mataderos neighbourhood. The name of the barrio translates to 'slaughterhouse', which gives you some idea of the main economic activity that takes place here. Indeed, Argentina is famous for its cattle, and this market is full of gauchos (South American cowboys) selling high-quality leather and a range of other traditionally Argentine products. Tourists can also enjoy equestrian demonstrations, folk dancing, and a typical Argentine parrilla (barbeque). In fact, as the market has grown in popularity over the years, it has become a real spectacle, and is now the perfect place to witness some authentic Argentine culture. Argentina has so much to offer, from the sophisticated style of Buenos Aires to the unique cultural quirks, incredible food, and breath-taking landscapes. Step outside the city to see even more.